Visual Motor integration is considered an important skill for the development of manual ability of the children. Handwriting is essential for the school going children. 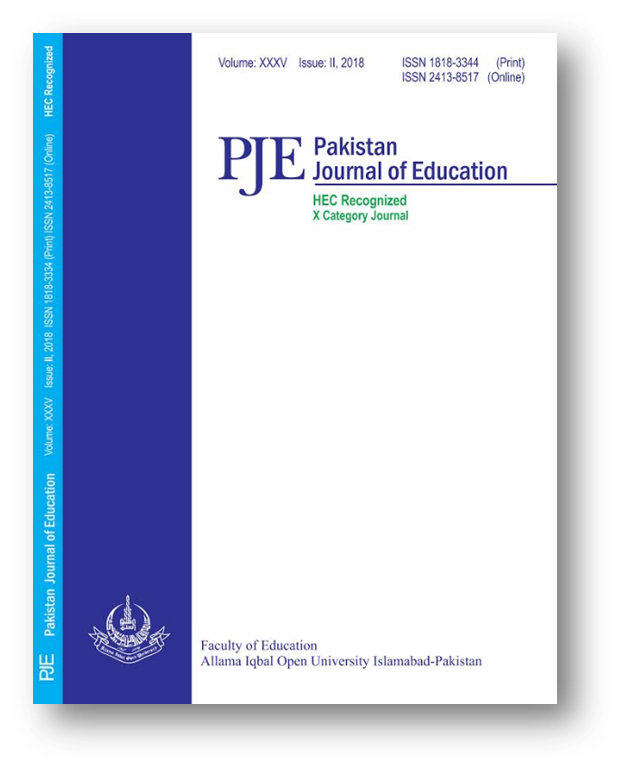 The study in hand examined the effect of Visual Motor Integration (VMI) Training on legibility of Urdu handwriting in 4th and 5th grade students. There were 134 participants taken who have poor handwriting and VMI from general education schools. The research was conducted as an experimental study. Pretest-Posttest Two Group Designed was used in the study. The students were divided into experimental and controlled groups. The selected students in experimental group were imparted six weeks training in order to improve VMI whereas the second was a control group without any intervention. It was observed that the students in experimental group showed significant improvement in legibility of handwriting as compared to control group. The male did not outperform as compared to the female respondents and vice versa. Concisely speaking, the readability in handwriting, similarities in manuscript, roundness and recognition of words were improved as a result of training by the same individual. The VMI training showed the improvement in Urdu handwriting of the students of 4th and 5th classes of primary school.